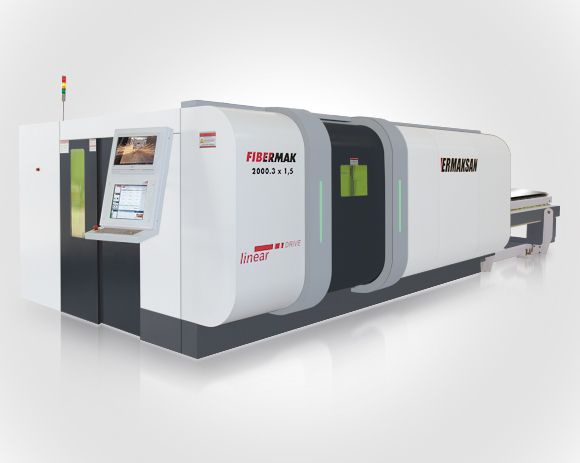 FIBERMAK transmits the laser beam onto the sheet metal by fiber cables and its cutting quality with high beam density is perfect on thin sheets compared to other alternatives. Fiber laser cutting technology proves high quality cuttings at very fast speeds. The energy consumption is 70% less compared to CO2 lasers. You’ll also benefit from easy cutting of reflecting materials as aluminum, copper, brass etc. via low wavelenght depending to its working principle. Speed-Bend series is designed to enable speed and high quality production capability in order to decrease time unit costs in a competitive environment. 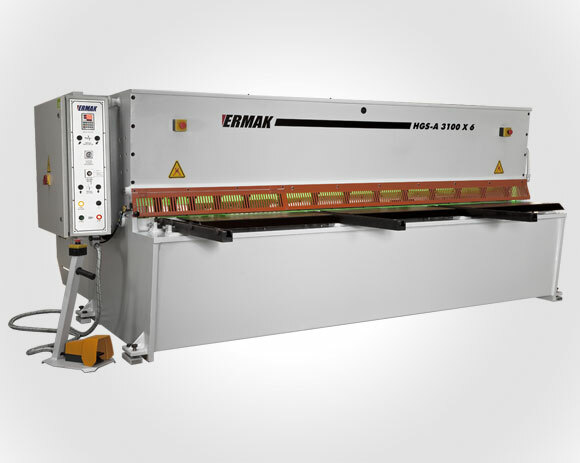 Ermaksan, known as one of the top world wide manifacturer in sheet metal industry, proudly announces its latest shear model to the market, which we call it Variable Rake Hydraulic Guillotine Shear “CNC HVR”. While providing flexibility for different production parts and waste of time has been completely eliminated by aiming high efficiency. 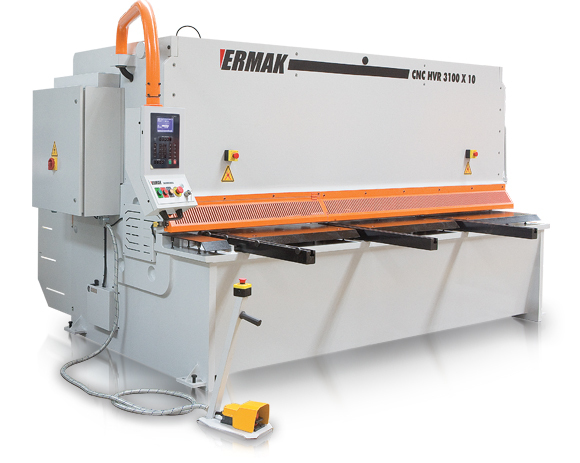 ERMAK HGS Series are high performing and economic machines with modem design, strong steel weld construction frame and perfect cutting quality. Available dimensions are 2600, 3100, 4100 mm and capacities are 6 mm, 8 mm. Main frame and top beam are in box construction and highly resistant to twisting forces. Fast and precise blade gap adjustment system is placed on the right side of the machine. Blade gap adjustment for high quality cutting could be made without any step and from a single point. 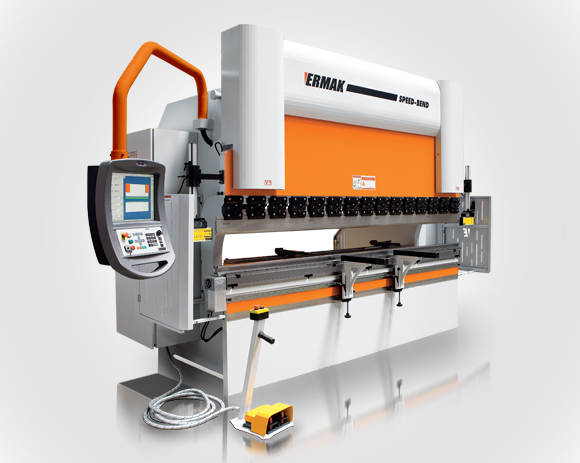 Ermaksan is the premier manufacturer of Sheet Metal Working machines in Turkey has added the EKM Iron Worker series to it's production line. The EKM series designed at CAD programs and is being produced by sensitive CNC workbenches. The EKM series include Punching, Flat Shearing, Angle Shearing, Bar Shearing and Notching stations. Each work station is equipped with specially designed hold-downs to ensure safety while providig precision and ease of use.